This picture gives some sense of the effect spawning herring have on the color of the water. The lighter colored water near the shore and in the middle distance near the rocky out crops are where herring were spawning. 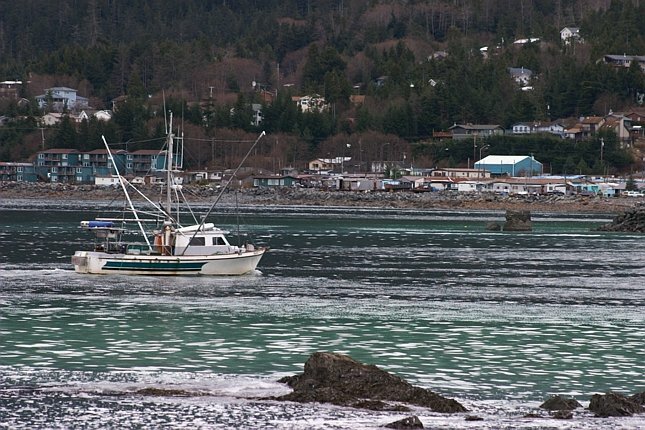 I have heard it said that in the past, all of Sitka Sound could turn this color, such was the abundance of spawning herring.